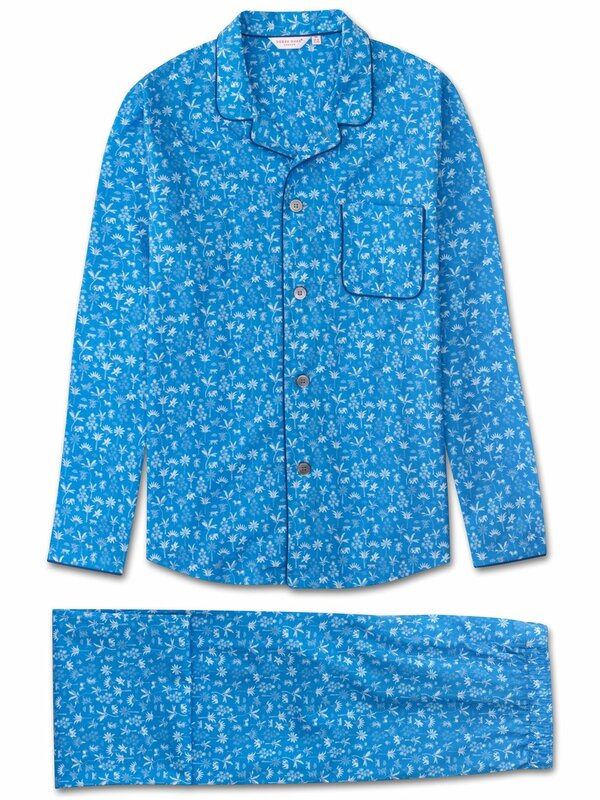 A beautifully soft, lightweight and vibrant blue cotton forms the base for our Ledbury 8 men's modern fit pajamas whilst our repeat graphic in white showcases elephants, tigers and horses all hidden amongst the coconut trees of India. 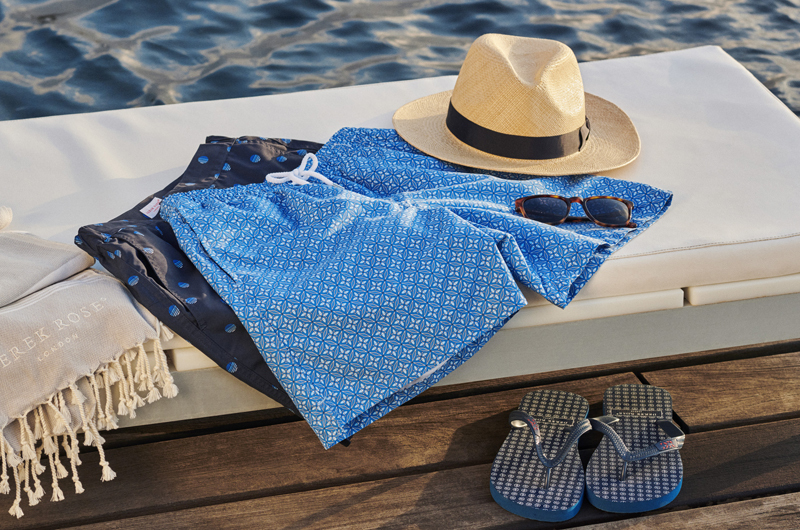 Ideal for warmer conditions, our lightweight Ledbury 8 modern fit piped pajama set is destined for stylish off-duty wear. Like all of our modern fit pajamas, the Ledbury 8 is designed for a more contemporary cut; one that is closer to the body without being restricting. Made from lightweight and super soft cotton batiste, a signature fabric of ours that excels in both cold and warm climates, the jacket features a sartorially-inspired curved collar, mother of pearl buttons throughout and a piped breast pocket. Furthermore, the rest of the jacket is piped throughout with a complementary blue piping.